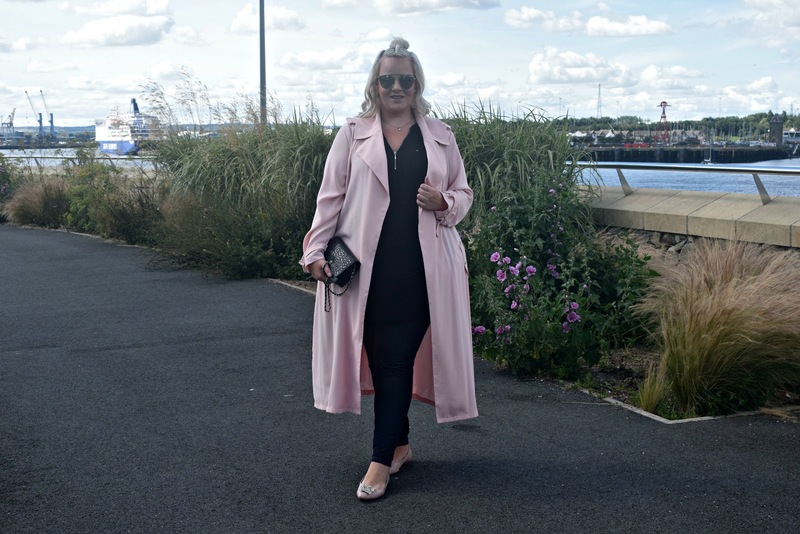 Pretty in pink has definitely been a trend for spring summer this year and I’ve loved updating my wardrobe with this rosy hue. I’ve always enjoyed wearing pink and really feel that I suit it, especially with having blonde hair. 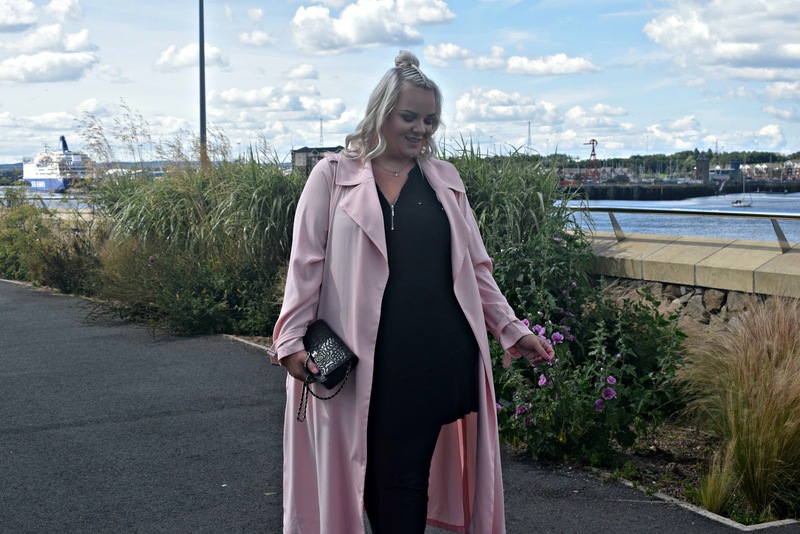 The pink piece that I’ve loved wearing the most so far this season has to be the gorgeous RI Plus Pink Tie Waist Duster Trench Coat from River Island. 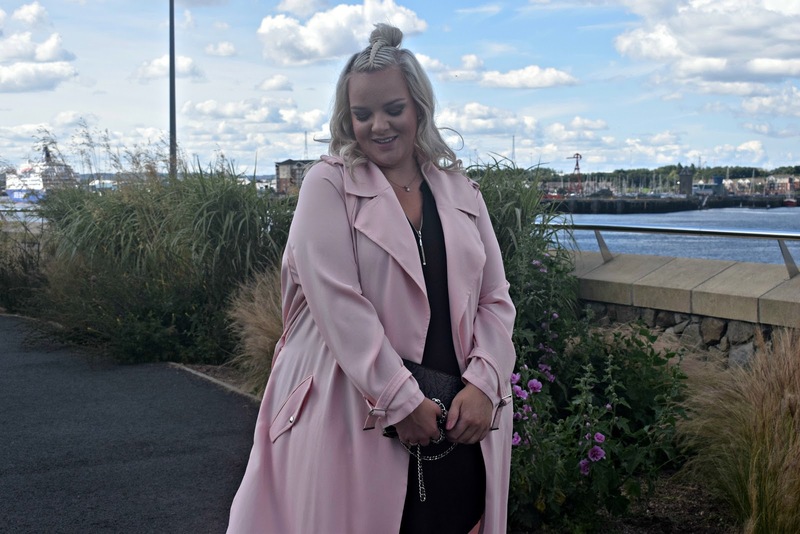 River Island have taken a really classic style of coat here and combined it with the most beautiful powder pink shade; the kind of colour that would suit anyone. The contrast between the two is what really stood out to me with this coat. I think that it is quite a stand out for plus size fashion itself really as I haven’t seen many other retailers create a piece like this. 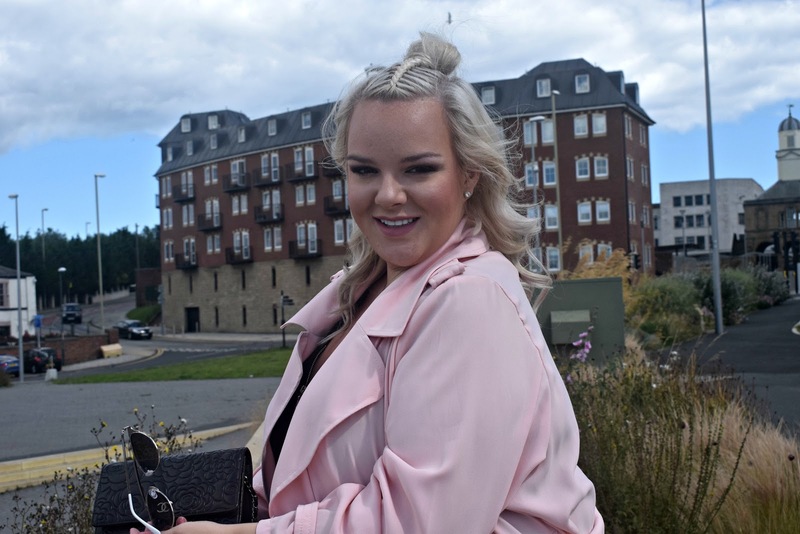 Trench coats are so versatile and look great whether you’re popping one on for a day at the shops with the girls, heading out to work or going out for dinner at night. 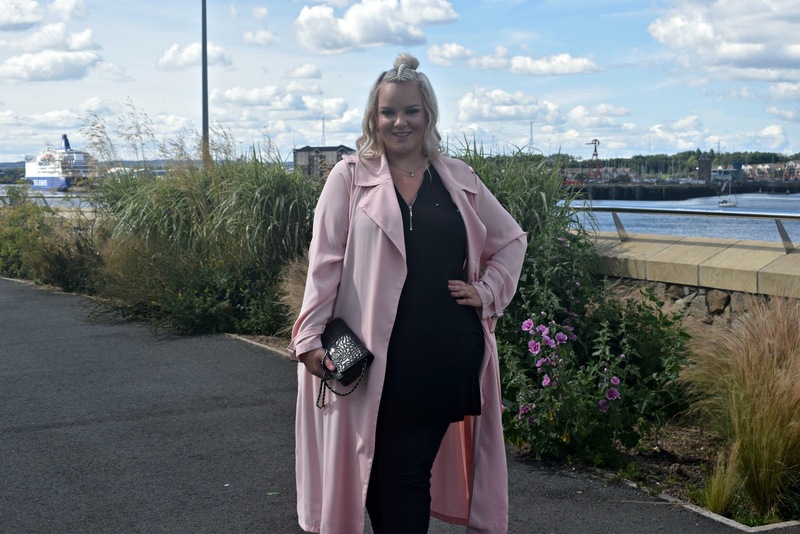 As with the majority of the River Island Plus line, I found this coat to be very true to size and it is such good quality too. The woven fabric is so soft and quite weighty; perfect for throughout the spring and into the early days of autumn. For this look when I was heading out for lunch with my friend Sarah, I paired the pink trench coat with two wardrobe staples from Yours Clothing; the Black Sleeveless Top With Zip Front which is so comfortable to wear and goes with everything and the Indigo Blue Pull On Stretch Jeggings which are the best jeggings I’ve found in terms of fit. Since I’m so much bigger around the waist compared to my legs, by the time I’ve sized up to accommodate my tummy, jeans and jeggings are usually really baggy on my legs but these ones aren’t too baggy; they’re the slimmest legs I’ve found so far, outside of denim look leggings. 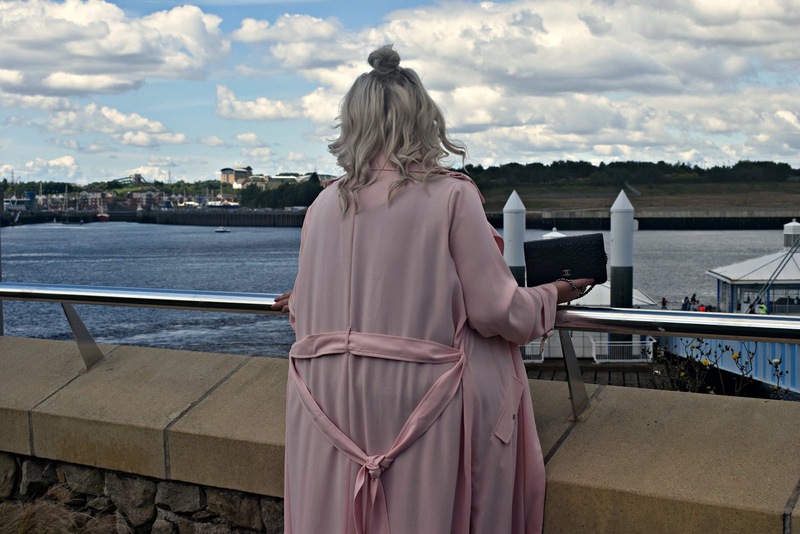 I also accessorised with some jewellery from the Pandora Rose Collection, my Dior style sunnies from Primark, the beautiful Dune flats that I bought to wear on the red carpet at The Princes Trust Celebrate Success Awards and my most treasured Chanel WOC. 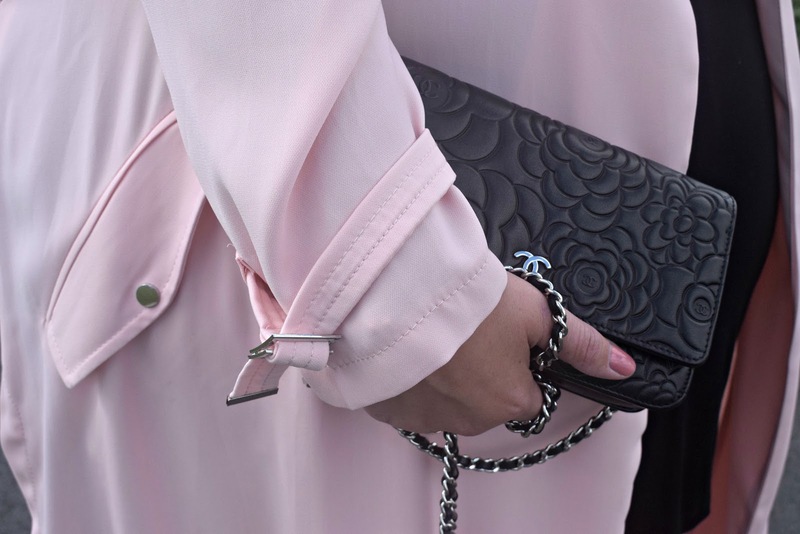 Have you added any pink garments to your wardrobe this year? What shade of pink do you like the most? *Thanks Sarah for taking my blog photos for me, you gem! Next Post Plus Size Bardot Swimsuit You NEED This Summer! I love the longer style of this, you don't often see too many longer coats like this. The colour is amazing too! 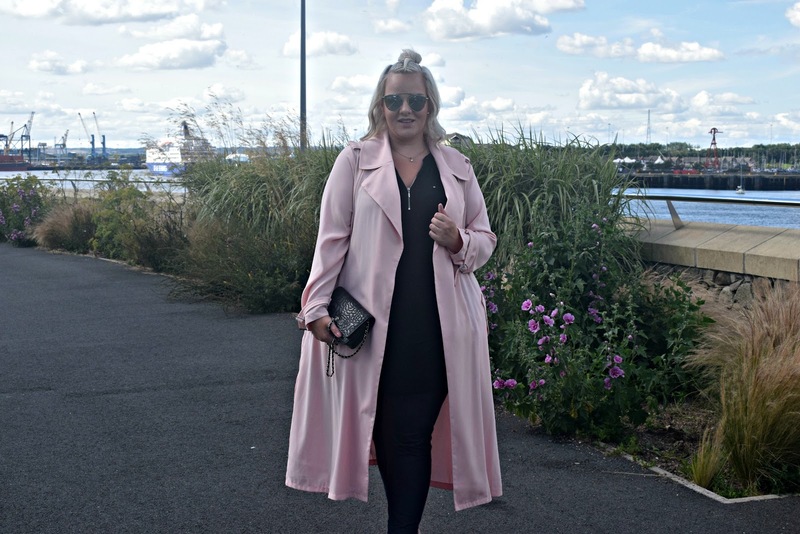 I love a good trench coat, but I've never seen a pink one! It's gorgeous! Gorgeous colour coat. I was in River Island Cardiff with Caitlin buying her birthday outfit on Saturday. They have great kids' stuff too. I love the colour! Such a perfect shade of pink – and you look so beautiful!! This is such a pretty coat and I adore the colour! I think I need to have one! What a beautiful coat. It looks stunning on and makes me want to go out and buy one!